REDEMPTION Release Day is Here! REDEMPTION is live on Amazon but the search engine on the site isn’t picking it up. To buy a copy of REDEMPTION for Kindle go here. It’s finally here! The day I didn’t anticipate when I wrote the first words to CHOSEN on a cold December day. 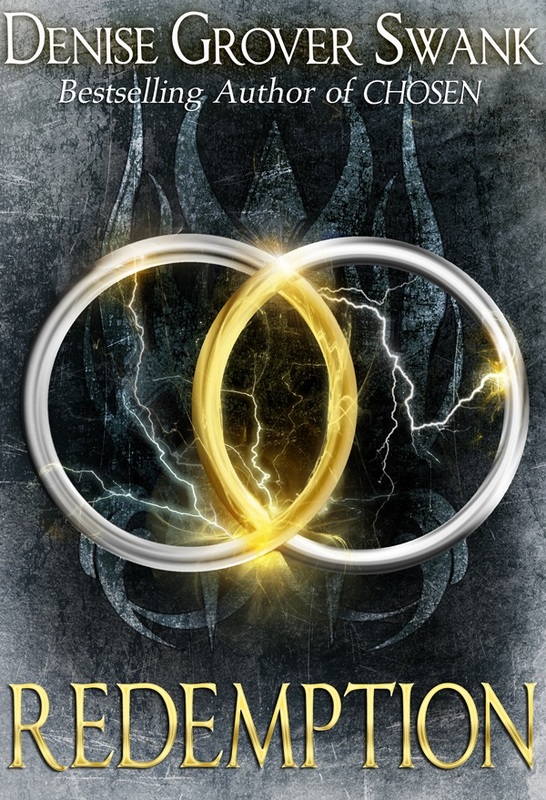 THE CHOSEN series has come to an end. It’s bittersweet. I love Emma, Will, and Jake and when I did a final full read through of REDEMPTION last week, I was melancholy, listening to the playlist for SACRIFICE like I’d just gone through a breakup. But I’m ready to leave my beloved characters behind for awhile. I might pick up the series again at some point, but not in the foreseeable future. I think my characters and I need a little break. Instead, I have some other projects in the works. I’m writing THERE, the conclusion to the On the Otherside series. I’ll also be writing THIRTY AND A HALF EXCUSES, the third book in the Rose Gardner Mysteries series. 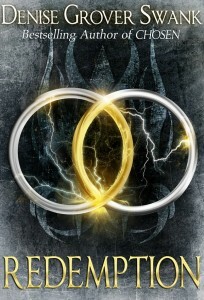 But I’m really excited about my new urban fantasy series, THE CURSE KEEPERS, which I’ll release in 2013. If you read REDEMPTION, could you do me a favor and write a review? Reviews help readers decide whether to click buy or not. although by this point, I hope my readers are invested enough to buy REDEMPTION without a plethora of reviews. In any case, let me know what you think either in a review, a comment below, a Facebook status, or an email – denisegroverswank@gmail.com I really, really want to know what you think about this book. And finally, thank you to my readers, who liked this series enough to stay with me to the end. What a ride. So excited. I just bought it. Loved the series. Can’t wait to see how it ends. I happened apon The Chosen series while going thru the list i get emailed to me every day from Pixel Of Ink , a web site for free and discounted books that I can download on my Kindle.I had no problem buying the last three, because I was hooked! I love to read and find myself doing much of anything else! Which is why my house is in such a mess! I really enjoyed the series and plan to look for more of your work. Thanks so much for sharing your talent with us readers. Wondering the same question, Still no Redemption on IBooks. Any idea when I’ll be able to buy it on iTunes? Hi there, You have done an excellent job. I will definitely digg it and individually recommend to my friends.